The Taurus New Moon happens on Friday, May 6th, at 12:29 pm MST/PDT at 16 degrees Taurus 41 minutes. Here’s the chart: TaurusNewMoon2016. Taurus rules our essential needs for survival and teaches the lesson of self-reliance. We all have unique gifts, skills, natural talents or abilities. If we value ourselves, we’ll develop these gifts or personal resources and share them with the world. As others value what we have to offer and compensate us accordingly, we’re able to garner the resources we need to take care of ourselves. Self-reliance is personally empowering. It builds confidence, assures a healthy relationship with ourselves and in turn enables us to manifest and attract all that we need and desire in healthy ways, not through co-dependency. 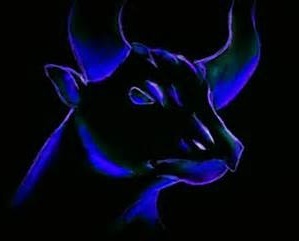 On a surface level, Taurus symbolizes resources. This sign rules our money, assets and personal possessions. On a deeper spiritual level however, Taurus represents our core values. What we value will represent what gives meaning to our lives. Valuing ourselves is of the utmost importance to our ability to manifest the resources we need to not only survive, but thrive. What’s most important in life to you? What gives your life meaning? Venus rules Taurus and is therefore the ruler of this New Moon. She’s strong now as she currently moves through her own sign of Taurus. She joins the Sun and Moon in Taurus, as well as retrograde Mercury and the asteroid Vesta which symbolizes devotion. Altogether, this New Moon chart has five celestial bodies in Taurus comprising a ‘stellium’ or a group of planets all in the same sign. So Taurus energy is super abundant now! Empowering this Taurus stellium even further is its connection to both retrograde Jupiter in Virgo and retrograde Pluto in Capricorn . Together, they form a Grand Earth Trine. 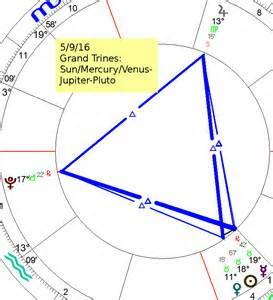 Grand Trines are a closed pattern of three or more planets all trine (120 degrees apart) one another. Geometrically, Grand Trines look like a triangle. Trines are the most favorable angular relationship between two planets. When trine one another, planetary energies are harmonious and flow easily. The natural benevolence of trines can be easily utilized to achieve what we want. However, trines can also make life so easy that their energetic influence is often squandered through laziness. When things are going really well we can fail to continue in our efforts. This Grand Trine is in the Earth signs: Taurus, Virgo and Capricorn. The Earth element is associated with physicality and real material things so this Grand Earth Trine provides LOTS of manifestation energy! What do you need or want right now? Chances are, if you make a sincere effort, you’ll be able to easily attract and manifest what your heart desires. Since Taurus rules our values and valuables, this Grand Trine also supports investments in what we value most, including ourselves! Virgo assists self-care and self-improvement efforts. Those who take good care of themselves and who diligently seek to improve themselves are likely to experience good health, vitality and success through meaningful work in the world. Capricorn supports those who take complete responsibility for ALL their choices, actions and experiences. It brings recognition and rewards to those who are mature, accountable, self-determined and wield their personal authority wisely. This Grand Earth Trine is truly a magical manifestation machine so make the effort to take advantage of this magnificent celestial influence and reap the rewards! Unfortunately, there are also some BIG obstacles contained in this New Moon pattern. The Sun and Moon are both inconjunct (150 degree angle) retrograde Saturn in Sagittarius, and Venus, the New Moon’s planetary ruler, is inconjunct retrograde Mars, which is also in Sagittarius until the 27th when it re-enters Scorpio. Also expect these issues to be reflected in headlines like the current dire financial circumstances of Detroit Public Schools. Now at a crisis point, fed up Detroit teachers protested with a ‘sick-out.’ They marched outside the district headquarters earlier this week. 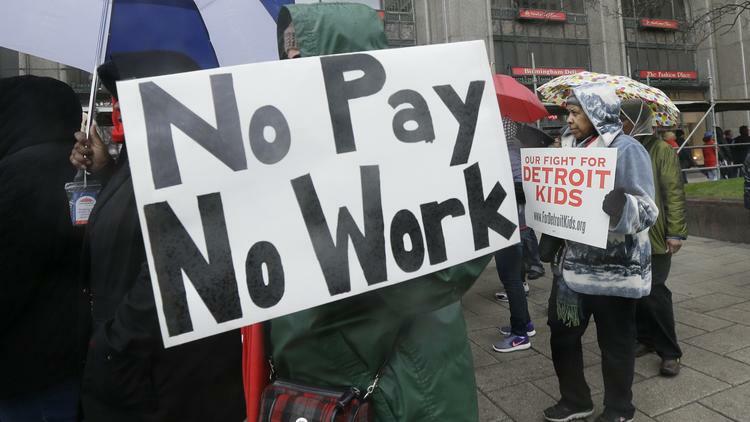 Nearly all of Detroit’s public schools were closed and more than 45,000 students missed classes after about half the district’s teachers called in sick to protest the possibility that some of them will not get paid over the summer if the struggling district runs out of cash. Since then, city officials have assured them that funds will be found to cover the cost of their salaries. Perhaps another financial scandal currently brewing is related to political fundraising. Ah, money and politics! Hillary’s ‘Victory Fund’ is a joint fundraising committee comprised of Clinton’s presidential campaign, the Democratic National Committee and 32 state party committees. The setup allows Clinton to solicit checks of $350,000 or more from her super-rich supporters at extravagant fundraisers including a dinner at George Clooney’s house and a concert at Radio City Music Hall featuring Katy Perry and Elton John. A recent investigation found that only a fraction of funds raised have actually been given to state parties for down-ballot democrats. Read more: http://www.politico.com/story/2016/04/clinton-fundraising-leaves-little-for-state-parties-222670#ixzz47iK8yoXe. On the Republican side, Donald Trump has achieved presumptive nominee status after another big win in Indiana’s primary election. Of course as presidential candidates get closer to winning their party’s nomination, they’re subjected to greater and greater scrutiny. Pulitzer Prize winning journalist Tom Robbins just published an article in The Marshall Project, chronicling Trump’s decades-long history with individuals associated with organized crime. https://www.themarshallproject.org/2016/04/27/trump-and-the-mob#.j6P1F2tYl. While the Grand Earth Trine may well be a magical manifestation machine, the potential for crises for those whose choices (Pluto) are less than honest (Jupiter) or lack integrity are also YUGE! Taurus is the quintessential sign associated with Mother Earth, our most precious and valuable resource. 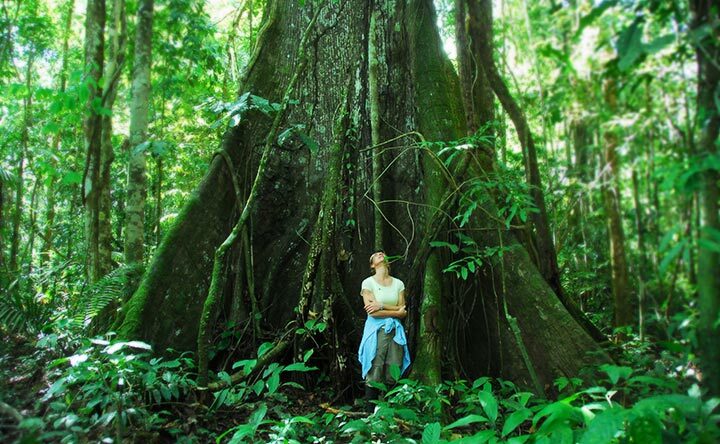 Many of our current planetary crises including wars, disease outbreaks and climate change, are the result of decades of over-use, mis-use and outright abuse of natural resources and natural habitats. We NEED a healthy planet to SURVIVE! 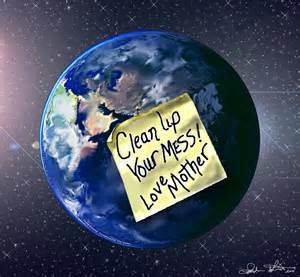 The Earth doesn’t need humanity; humanity needs, and belongs, to the Earth! Further analysis of the Grand Earth Trine brings us to Jupiter. Currently traveling through the sign of Virgo, which itself rules crises, health and the environment, Jupiter is reflecting some high-profile legal battles like the class action lawsuit filed by young people claiming that the U.S. government is denying them their constitutional right to life, liberty and the pursuit of happiness due to inadequate federal policies and actions to combat climate change. U.S. Magistrate Judge Thomas Coffin in Eugene, Oregon, just rejected motions by the U.S. government and trade groups representing the energy companies to dismiss the lawsuit by 21 plaintiffs ages 8 to 19. http://www.seattletimes.com/business/climate-change-lawsuit-by-21-youths-takes-big-step-forward/. Jupiter also continues to be part of another significant and longer-term planetary configuration called a mutable T-Square. This T-Square began last September and will continue until this August. 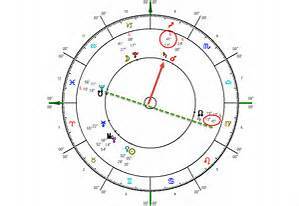 The T-Square is comprised of planets occupying three of the four mutable signs (Gemini, Virgo, Sagittarius and Pisces). Jupiter in Virgo is opposite (180 degrees apart) Neptune in Pisces. Both are also simultaneously square (90 degree angle) Saturn and Mars in Sagittarius. Lines drawn to reflect the opposition and square angles between them form what looks like the capital letter “T” upside down in the chart. Astrologers are calling this a ‘Spiritual T-Square’ since it is made up of planets and signs that are associated with the search for higher truth and the natural spiritual evolutionary path. Altogether, this heavenly pattern reflects the need and opportunity for humanity to review all of our belief systems to discern what’s really true. We’ll need to discover the lies and deceptions we’ve been taught to believe for thousands of years by man-made religions. Ultimately, we’ll need to throw off these conditioning influences that are co-creating distorted realities. On Monday, May 9th, Jupiter stations direct at 13 Virgo completing it’s annual four month retrograde period that began January 7th. Jupiter is always searching for the truth which is why it also rules the natural laws of the universe, the laws that are self-evident in the natural world or what we call ‘Nature.’ Accordingly, this planet is associated with higher-minded paths of study like philosophy, theology and cosmology. On a mundane level Jupiter and the sign of Sagittarius reflect man-made religions, laws and social justice systems. On a personal level however, Jupiter rules our right-brain, the source of intuition. Personal intuition leads each one of us to our personal truth. As this planetary giant resumes forward motion in the heavens after a four month retrograde period of review relative to beliefs, greater insights and intuitive understandings are readily available. Perhaps in addition to religious or spiritual beliefs, you’ve also been reflecting upon personal beliefs you have based upon lifelong conditioning from family, society or your own personal experiences? What current events happening in your life have caused you to more deeply question your personal beliefs? Also happening on May 9th, Mercury reaches the halfway point of its current retrograde period with a rare transit to the Sun at 19 degrees Taurus 25 minutes! A ‘Mercury transit of the Sun’ takes place when the planet Mercury comes between the Sun and the Earth. Astronomically, this phenomenon is similar to an eclipse. But because Mercury’s size is so much smaller than our massive Sun, when it moves across the face of the Sun it will appear as a tiny speck or small black dot. Transits of Mercury to the Sun always occur in either May or November and happen 13 to 14 times each century. The last Mercury transit of the Sun occurred in Scorpio on November 8th, 2006. 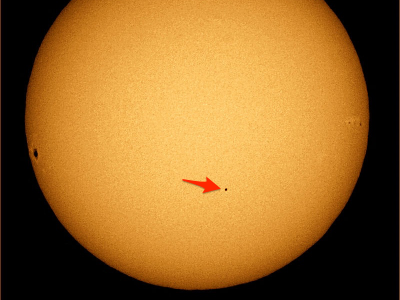 The last time Mercury transited the Sun from Taurus happened on May 7th, 2003. What were you experiencing then? Perhaps similar events will repeat in your life now. You should NEVER look directly at the Sun. But this amazing celestial event is well worth watching! View it safely in real time at http://www.space.com/. Mercury’s transit of the Sun will tremendously energize mental capacity. Expect inventions, discoveries, AHA moments, revelations and all manner of breakthroughs in thought and understanding. Perhaps some truly significant information or knowledge will be revealed. Retracing its steps through Taurus, Mercury has our attention focused on essential needs and core values, especially pertaining to resources and relationships. Again, what do you really value? What do you truly NEED, not only to survive, but to THRIVE? Be mindful of all incoming messages especially on the 9th! Remember to pay particular attention to intuitive information and divine guidance coming from spiritual sources. Mercury will complete this current retrograde period on May 22nd at 14 degrees Taurus. Then it will be full speed ahead again with the manifesting process! May 22nd will also mark Mars reaching the halfway point in its current retrograde that began at 8 degrees Sagittarius 56 minutes on April 17th, and will continue until June 29th when it stations direct at 23 degrees Scorpio 3 minutes. Mars rules our desires. Moving through the signs of Sagittarius and Scorpio, Mars is also energizing the Spiritual T-Square further emphasizing the need to review and reflect upon beliefs. As it returns to Scorpio, the focus will turn to deep emotional matters often associated with losses, abandonments and betrayals. It’s time to ponder personal choices and personal power. WHY have you made the choices you’ve made? What desires motivated those choices? Were they empowering or disempowering, constructive or destructive? Scorpio is the sign opposite Taurus in the zodiac so these two signs for a natural ‘evolutionary pair.’ The lessons associated with Taurus and Scorpio, namely self-reliance and self-empowerment, are learned through discovering and developing personal values, learning to meet our own needs, and learning right use of power. All human beings possess power. That power is our ability to make free will choices. Unfortunately, the primary model for relationships in most cultures today is one of co-dependence – expecting others to take care of us and to be the source of our fulfillment. Most of us are conditioned to believe that we’ll be happy when we meet the right person. This distorted belief often produces power imbalances in relationships. And when power imbalances reach an extreme, they actually begin to interfere with our evolutionary growth. Then our Souls will naturally co-create circumstances that remove whatever we’re giving our power away to. The result is loss, abandonment or betrayal that throws us back upon ourselves to learn an essential self-reliance and re-empowerment. From a spiritual developmental point of view, Taurus and Scorpio teach us to correctly and wisely use our intrinsic power of free will choices to manifest that which we desire. So I’m declaring May ‘Manifestation Madness’ month! What do you need or desire? Make the effort! And be sure to make whatever necessary changes and adjustments crop up along the way. Imagine, in full detail, using ALL your physical senses, with deep and profound gratitude, that you already have what you desire. Empower yourself to manifest and manage your resources and relationships – including your relationship with the planet. The Gemini New Moon occurs on June 4th at 7:59 pm MST! This entry was posted in Planetary Events and tagged adjustments, beliefs, core values, crises, empowerment, essential needs, free will choice, Grand Earth Trine, Jupiter, Mars, Mother Earth, Neptune, Pisces, resources, Sagittarius, Saturn, self-reliance, Spiritual T-Square, survival, Taurus, truth, Venus, Virgo. Bookmark the permalink.